Brushed paper is just simply stunning! It is very feminine and flirty! 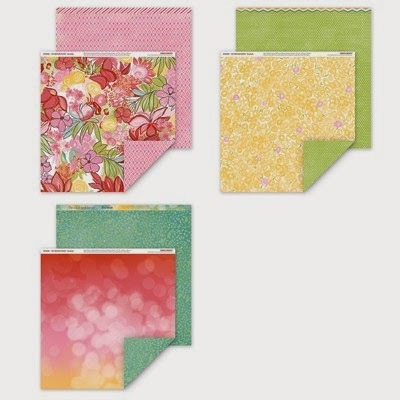 The colors are vibrant and could be used for a multitude of things including, Mother's Day, Girl's photos, Outdoors Photos, Cat and Dogs, the list could go on forever! This is one of my favorite cards that I made for my display boards. It seemed to encapsulate the essence of Brushed! I blinged up the beautiful flowers with our new Bling Gems Gold Assortment! The flowers and leaves were cut on the Art Philosophy Cricut Cartridge! 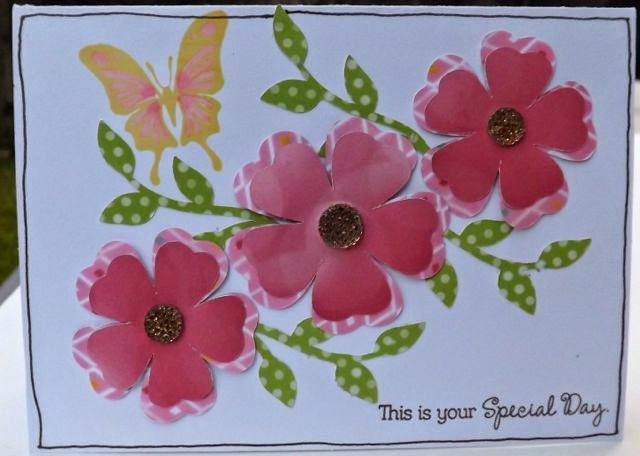 The butterfly was stamped using the Your Own Kind of Wonderful stamp in Canary and then I used our new ShinHan Twin markers to color in the pink! I only used one marker to get all the shades pink, they are so easy to use! On this card I simply cut the rectangles and then used our fabulous Non-Stick Micro-tip Scissors to cut them into banners! 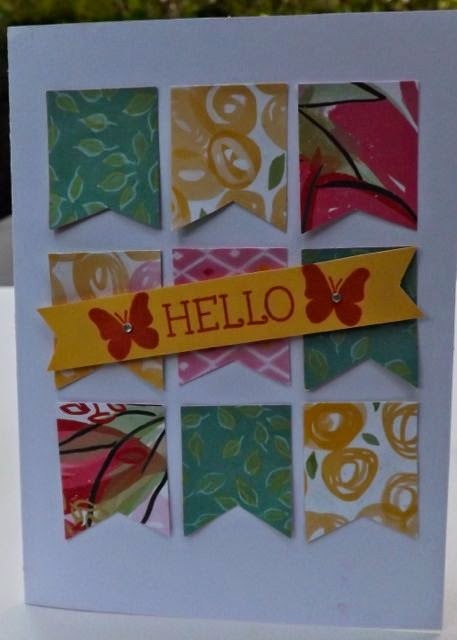 I did the same thing with a small strip of Canary that I stamped the sentiment Hello on from the Have a Happy Day stamp set. 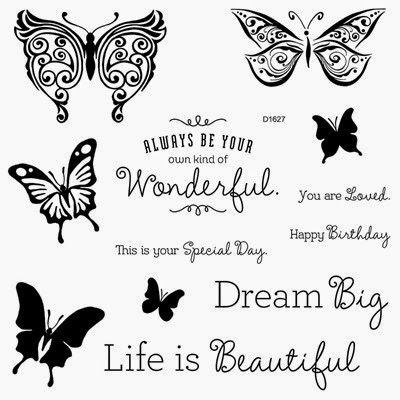 The butterflies were from the Your Own Kind of Wonderful stamp. I used a Bitty Sparkle to add just a touch of bling! Isn't this just a fun stamp set! 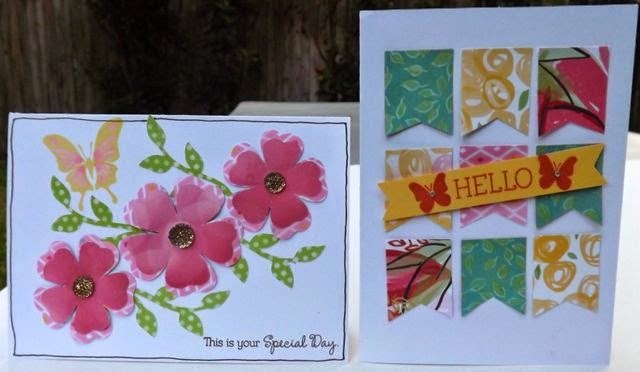 I have other projects to show you with this stamp set! It is quite versatile! Ohhhh! Love, Love, Love your cards.